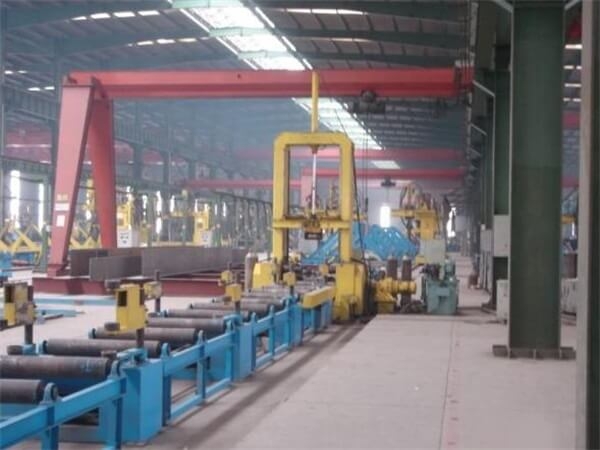 Semi gantry crane is a small or middle scale gantry crane with one side of crane girder supported by one unilateral leg which can travel on the ground track, and the other side supported on the bracket track, which could save cost and space of the factory. 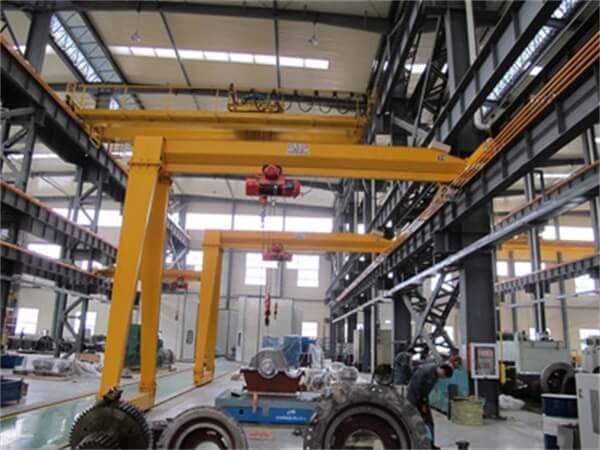 The mechanical structure of semi gantry crane is mainly consisted of crane bridge, travelling mechanism, trolley part, and electrical part, etc. 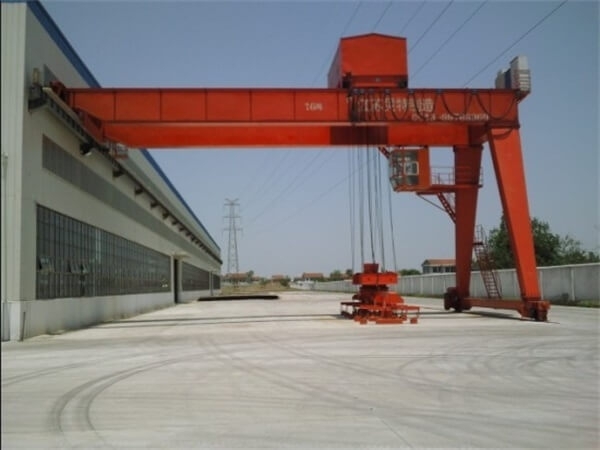 ♦ The single girder semi gantry crane is a general purpose light crane used in workshop or outdoors. 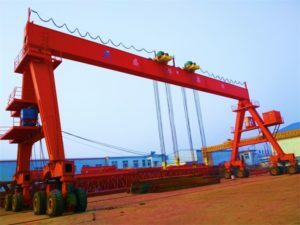 The leg height of this single girder semi-gantry crane can be different according to the engineering needs on the construction field. 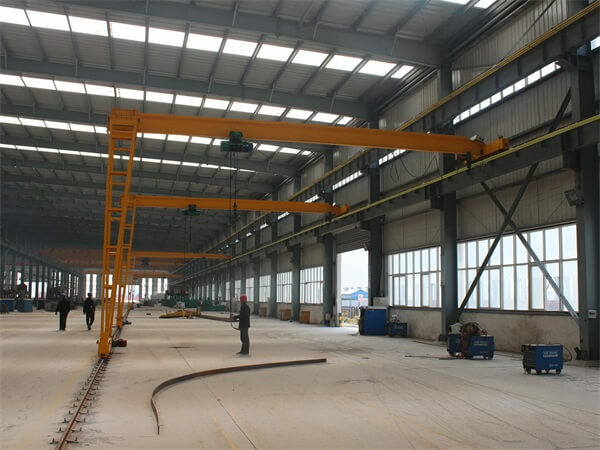 The single girder semi gantry crane has the features of simple structure, easy installation, light weight, good wind resistance. 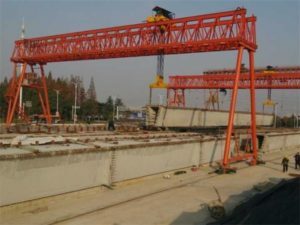 The Main girder is mostly bias rail box type structure. 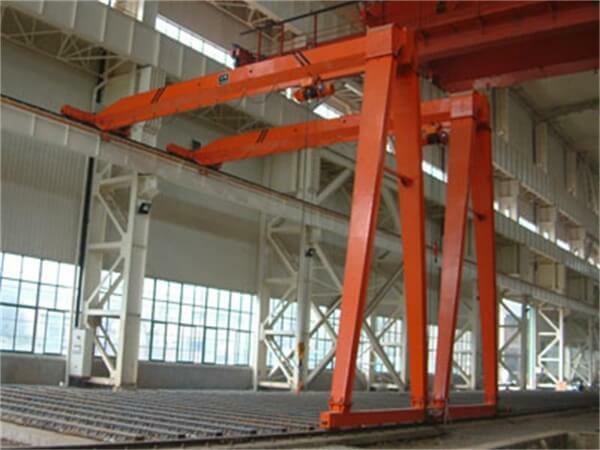 Compared with the double girder gantry crane, the lifting capacity is smaller,it can be remote control and floor control. 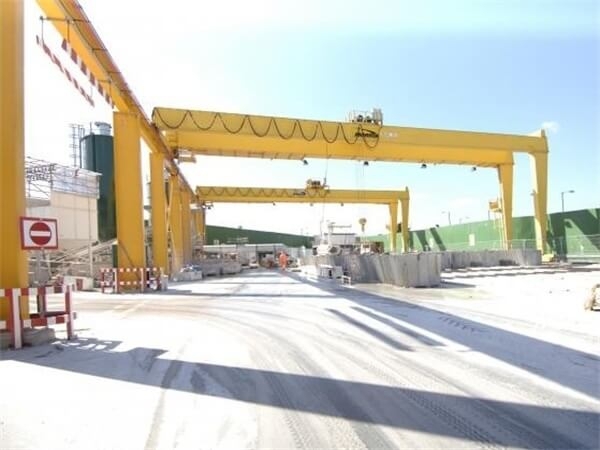 ♦ The double girder semi gantry crane is combining the advantages of the full gantry crane and overhead crane. 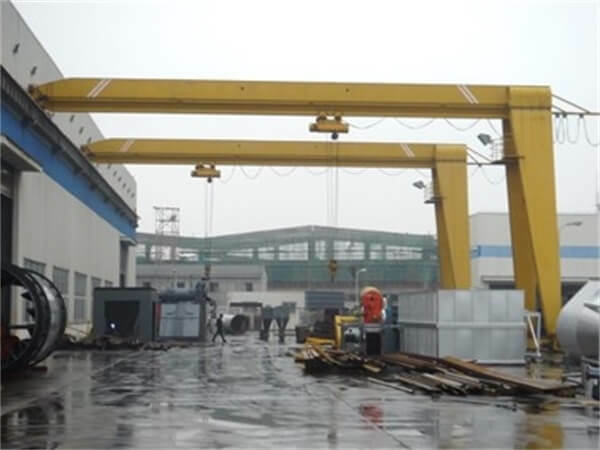 It is widely applied to do loading and unloading work in indoor or outdoor.